Got to the range yesterday to test to 45 Colt ladders using the Hornady 300 grn XTP and H110 and H4227. The disappointment came from all the groups being low 6 to 8 inches with the same sight settings I use with the 325 grn cast. Once the loads got close to max published the groups sizes got down to around 2 inches. 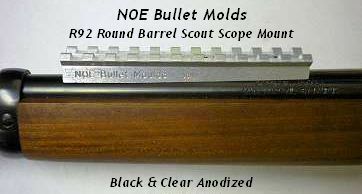 The loads are extrapolated from the 300 grain Speer loads in the latest Hodgdon manual, that show MVs between 1050 to 1202 fps from 7.25" barrels so ought have at least that out of the 20" Rossi. Best group was with 21.1 of H110 about 1.5 wide by 3 high. The vertical stringing was I think from trying to hold the center 2" orange bull. It was about 5" low at 50 yrds. Ohio3Wheels wrote: Once the loads got close to max published the groups sizes got down to around 2 inches. Are you using Contender type loads? In my Load-Data subscription, I found Hornady TC/Ruger Data for the 300-grain XTP & XTP Mag; 20-grains of H4227. The XTP using a COAL of 1.580" and the XTP Mag using 1.655". 12" barrel velocity is 1,000 FPS. Data was shot by Brian Pearce, Wolfe Publishing Company. There are no pressure notes with it. Haven't found anything with H110 yet. Loads came out of the 2018 Hodgdon manual/magazine and are based on the Speer 300 grain JHP they don't list the Hornady bullet. I still have a bunch of the cast loads put back that will get me through the season. I want to work up the jacketed loads in case I can't get the casting done. Seems like when I have the time it's just either too hot or raining. I may also try the next lighter XTP and see what the rifle says about them. More testing in the near future. We loose the range the last day of September when they shut it down for improvements, 8 month to a year they say. Next closest is about 3 hours away unless I re-up at my old gun club. Gas may be cheaper. Forgot your question in my previous reply, yes they are from the ruger etc column.